English Springer Spaniel Association Of Southern CA. "The club that these Springerites formed fifty years ago is still going strong and its purpose and interests have remained unchanged over the years. It is a non-profit group in the Southern California area whose objectives are to encourage and promote the breeding of pure-bred English Springer Spaniels," etc. Licensed By The American Kennel Club. Founded in 1974, this is the official web site for the Cocker Spaniel Club of Orange County (CSCOC). The website lists past and future breed club events and where they are held. "The Cocker Spaniel is the smallest member of the Sporting Group." You can learn more about Cocker Spaniels and its AKC Breed Standard. This Bull Terrier Club of Orange County, CA. lists their board of directors, upcoming dog events, breed description about this funny & active breed and more. OC Bull Terrier Club members have been involved in the rescue of purebred Bull Terriers in the SoCal area for many years. Dogs are products of broken homes, shelter turn-ins or strays. Call. "Since its inception, the Club has strove to hold educational programs as a part of its meetings & also as part of community events. The links to information & activities throughout our web site are not intended to be all-inclusive; they are meant only to provide a sample of the breadth of programs sponsored by the OC Rhodesian Ridgeback Club." "The Soft Coated Wheaten Terrier Club of Southern California (SCWTCSC) is dedicated to maintaining the Wheaten�s outstanding spirit, health and beauty. Club meetings are held monthly. The Club plans many educational and social activities such as guest speakers, grooming seminars, fun days and puppy matches for both pet and show owners." This Basset Hound Breed Club website discusses upcoming events, has a great breeder directory list, photos of the clubs dogs, and more. Check out their page called, "Things You Always Wanted to Know About a Basset Hound but Didn�t Know Who to Ask." They of course also operate a rescue and final home location for Basset Hounds. Great Los Angeles All-Breed Dog Club that has some blast from the past photos of competitions and awards won. Members involved are also from neighboring cities. They have the last 6 years of competitions on the website. 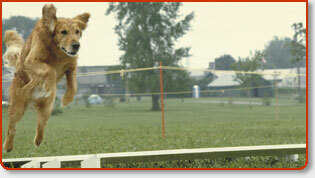 To conduct dog shows, obedience trials and sanctioned matches under the rules of the AKC and alot more. "In November of 1983, a handful of Springer owners met to form a Springer club in the San Fernando Valley. In just 3 meetings, we grew to 33 members." Includes outstanding photos of the English Springer Spaniel dog breed. The head to toe breed standard and temperament description as well as many rescue links. "The City of Angels Pomeranian Club is a non-profit organization and is an American Kennel Club (AKC) local specialty club based in Southern California. Our parent club is the American Pomeranian Club. The City of Angels Pomeranian Club is dedicated to furthering and promoting the many aspects of this wonderful breed." They have monthly meetings. "The Rat Terrier Club of America is the first National organization to provide a Rat Terrier breed standard and information. Due to our efforts, Rat Terriers are now an AKC / FSS breed." This is a large site with tons of info on the Rat Terrier dog breed. It has a breeder list, temperament profile of the dogs, photo gallery plus more. "During the intervening years, the HCSC has expanded along with the popularity of the Havanese breed. The HCSC has grown from its modest beginning to approximately 60 members today!" If you desire a Havanese puppy, read through some of the breed info provided. They have a Havanese dog link section, membership sign up and more. This Western Fox Terrier group started its legacy back in 1907. Website has club news, meetings, scheduled events listed plus more. They do have a small breeder directory for Smooth or Wire Fox Terrier puppies and adults. Previous Specialty Shows are photographed with results for both dog breed versions. Lots of great links on this website to research and educate yourself on this tiny little dog breed- the Yorkie. They have Yorkie breeder contacts, dog rescue resources, upcoming dog shows for the Yorkshire Terrier and breed club meeting information. A great place to become a member of a dog club if you own a Yorkie & want to grow within the club. "Terrier breed clubs representing Airedales, Bedlington, Fox, Kerry blue, Lakeland, Miniature Schnauzers, Scottish, Skye and Welsh Terriers participated as charter members." They have a great list of rescue organizations for many of the Terrier dog breeds. The site has Terrier dog show winners photoed spanning the last 5 years. Established in 1967. Although this website has not been updated in ages, you may still find some resources here if you are a Samoyed dog breed owner and you also desire to join in on the escapes of this dog organization. I do believe they are still a group in fact and actively showing dogs and involved in meetings, however you would never know that by the website. "The Akita is one of seven native breeds in Japan, and derives its name from the Akita Prefecture (a geographical area like a state). The renowned Helen Keller brought the first Akita into the United States as her pet sometime in the late 1930�s. However, the breed was not really established in this country until after World War II." "The first Antelope Valley Kennel Club Dog Show, with an entry of 400 representing 116 breeds was held in December 1958. Since then the Club has grown along with the Valley population and now holds two (2) Breed & Obedience shows per year. Entries of 2,000 plus dogs and over 140 breeds are now exhibited." The High Desert Labrador Retriever Club, Inc.
"HDLRC, Inc., is a club devoted to Labradors and to the people that share their lives. Our membership runs the gamut from Licensed AKC conformation judges, well known kennel owners, and field trialers - to those who just love their labs and want to know more about them. Each one of our members is an equally important part of the club." Sealyham Terrier Club Of Southern California, Inc.
"Founded November 28, 1954 in the Hills of North Hollywood, California to serve exhibitors of Sealyham Terriers and to promote the interest of Sealyham Terriers on the West Coast. Our Specialty Show is held in conjunction with the Great Western Terrier Specialty & the Long Beach Kennel Club Show in the Greater Los Angeles area of California. "(GRCGLA) is a Member Club of the GRCA and is approved by the AKC to hold licensed shows, Obedience Trials, Hunt Tests, and Agility Trials. The GRCGLA holds a Specialty Show and Obedience Trial semi annually and also holds Licensed Hunting Tests, Agility Trials and WC/WCX Tests. Meetings are held 8 times a year within the greater LA area." All Training Classes held outdoors at beautiful Brookside Park in Pasadena just South of the historic Rose Bowl. If you want your dog to: Come promptly to you when called, follow the sit & stay command, walk calmly at your side with or without a leash..then give this Pasadena dog club a try. Pasanita Obedience Club is a non-profit organization. Amazing dogs these Malamutes! They are another dog I like to refer to as SUVs - a go anywhere, do anything dog breed. They have a continously updated calender of events, newsletter and even a chat room for Alaskan Malamute member owners. Give a look on the site of all the performance type of working capabilities these dogs possess - from therapy +. The Boston Terrier Dog Breed Club is a wonderful resource in San Diego to help you gain familiarity with the breed. Our members collectively have hundreds of years of BT experience, & have encountered almost everything conceivable when it comes to the care & keep of Bostons. Our Club thrives off of the energy & enthusiasm that new members bring. This Pom dog breed club was established in 1947. Their mission: To promote interest in pure bred Pomeranian dogs, particularly in Southern California, in cooperation with the American Kennel Club & the American Pomeranian Club, at all times subject to the constitution & regulations of the American Kennel Club & the American Pomeranian Club. "The San Diego Labrador Retriever Club, Inc. (SDLRC) held its 1st organizational meeting in February 1996. The Founding Members shared a common interest in the breed & saw the need to form a regional club in the San Diego County area. In less than 5 years the club has grown greatly - from the original 10 founding members - to 87 as of Oct. 2000." This is a very well carried out website - and more importantly dog club specifically for owners of Doberman Pinschers. Their "fun matches" are discussed, where they will be held, news about the club and latest happenings, appropriate dog items for sale, and alot more. Look through their Doberman Pinscher rescue section for some real winners. The purpose of the club is to provide a forum for Dalmatian enthusiasts to educate members and the public in order to advance the interests of the breed. The club publishes a newsletter, Dot-to-Dot, which is sent to members and is also available by subscription. The newsletter contains items of interest about the club, its members, and the breed. Celebrating its 50th anniversary now. "Today the Cairn Terrier in America is a sensible, confident little dog, independent but friendly with everyone he meets. He may be found in an apartment, suburban home, or on a farm." Surf through the info on their Cairn Rescue, breeders, links to related sites of interest and the latest CTCSC club news posts. Hidden Valley Obedience Club Of North San Diego County, Inc.
"The San Diego Chapter is an official chapter of NAVHDA International. We conduct our chapter activities in accordance with NAVHDA guidelines & support the objectives of NAVHDA International. There are about 30 members in the San Diego Chapter. As in most NAVHDA chapters, our members are a mix of experienced, intermediate & novice dog trainers." As there are many different types of dog clubs, associations, dog registries, and professional associations in the Orange County, California and the greater LA area, I thought I would provide an easy means for dog owners to find these resources by listing them here. If you are seeking dog rescues, shelters or humane societies in Orange County, Los Angeles and surrounding areas, I encourage you to search for those particular topics within the noted link or main menu. I�ve endeavored to include not only nonprofit dog clubs, but also �for profit� dog clubs as well so as to leave no stone unturned. Resources and links include purebred & mixed breed kennel clubs within Orange County, fly ball and agility clubs, as well as general showdog organizations and �specialty� clubs. Although you may find a few dog training clubs here also, you may want to refer to the Dog Training And Schools page. Please list your Greater LA dog organization or club website under our Add-URL page to appear here.